by Sammy Benoit: Here is another tidbit that may surprise the 78% of American Jews who voted for Barack Obama. According to a report in Cable Foreign Policy, Chas W. Freeman Jr. former US Ambassador to Saudi Arabia is about to be named as Chairman of the National Intelligence Council [the intelligence community's primary big-think shop and the lead body in producing national intelligence estimates]. Tags: Barack Obama, Chas Freeman, Israel, National Intellegence, Sammy Benoit To share or post to your site, click on "Post Link". Please mention / link to the ARRA News Service. Thanks! by John-Henry Westen: VATICAN CITY, Feb. 18, 2009 (LifeSiteNews.com) - The Vatican Press Office released a note this morning detailing part of the conversation which Pope Benedict XVI had with Nancy Pelosi, the Speaker of the House of Representatives. Pelosi also released a statement on the meeting, which ignored the one and only crucial issue mentioned in the Vatican note. While Pelosi presented the meeting as a fully positive encounter, the Vatican indicated the Pope reminded her of the requirement of Catholic politicians to defend life. Also, contrary to normal protocols for such meetings with dignitaries, no photos of Pelosi with the Pope have been released. Vatican insiders stressed to LifeSiteNews.com that such releases are always phrased in diplomatic language and thus the correction of the Speaker who describes herself as a “faithful Catholic,” despite her abortion advocacy, should be taken as a firm rebuke. . . . Such encounters with the Pope are treasured by politicians for the photo opportunity they provide. Pelosi, however, was not afforded that customary photo by the Vatican. . . .
Pelosi’s positive spin on the meeting is not being swallowed even by left-leaning Papal watchers. Vatican correspondent John Allen, who writes for the National Catholic Reporter, noted that “routine Vatican declarations after diplomatic meetings also generally sum up the range of issues discussed rather than concentrating on a particular point. 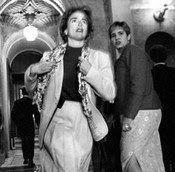 In that sense, the statement can only be read as a rejection of Pelosi’s statements last summer, and, in general, of her argument that it’s acceptable for Catholics in public life to take a pro-choice position.” Allen also noted that “by issuing an unusual public statement after the session with Pelosi — which insisted that all Catholics, including legislators, are obliged to work for the defense of human life from conception to natural death — the pope also made clear there will no let-up in the pressure on pro-choice Catholic politicians to change their ways.” . . . [Full Story] See also: Were they at the same meeting? Tags: Catholic, Nancy Pelosi, politicians, Pope Benedict XVI, pro-life To share or post to your site, click on "Post Link". Please mention / link to the ARRA News Service. Thanks! Tony Perkins, Family research Council: Attorney General Eric Holder has made more headlines with one speech than most government officials make with a hundred. To a roomful of Justice Department staff, Holder touched on the sensitive topic of racial reconciliation yesterday and ruffled many feathers in the process. "Though this nation has proudly thought of itself as an ethnic melting pot," he said, "in things racial we have always been and continue to be, in too many ways, essentially a nation of cowards..."
Today his remarks have been plastered on newspapers and become the subject du jour on the talk shows. Many people, including conservatives, have recoiled at Holder's observation, which ironically, only seems to prove his point. "Though there remain many unresolved racial issues in this nation, we, average Americans, simply do not talk enough with each other about race." I think the Attorney General is correct, Americans have cowered to political correctness and as a result we avoid topics like race. The solution to racial reconciliation, however, is not to be found in a more aggressive Department of Justice but in a more aggressive church where we unite around ideals rooted not in skin color but in Jesus Christ. Tags: Attorney General, Eric Holder, Fox News, FRC, Race Relations, Tony Perkins To share or post to your site, click on "Post Link". Please mention / link to the ARRA News Service. Thanks! CNBC Reporter & Floor Revolt! Rick Santelli of CNBC and the floor traders in Chicago revolt, mocking Obama and his ill-fated plans for our economy. The message? 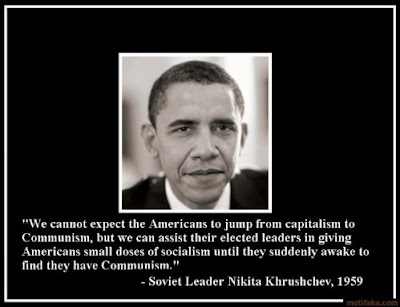 America hates Obama's socialism. The silent majority had better get loud fast. "The government is promoting bad behavior... do we really want to subsidize the losers' mortgages... This is America! How many of you people want to pay for your neighbor's mortgage? President Obama are you listening? How about we all stop paying our mortgage! It's a moral hazard.'" Tags: Chicago Exchange, CNBC, housing assistance, mortgages, revolt, Rick Santelli, 2009, video To share or post to your site, click on "Post Link". Please mention / link to the ARRA News Service. Thanks!" ARRA News Service - On Feb 9th,we posted about 16 illegals sue Arizona rancher for $32 Million. The initial trial is over and the illegals received only $77,804 of the $32 million they requested and Roger Barnett, 64, hopes that award will be thrown out in the Ninth Circuit Court of Appeals. Of course, one never know about the liberal 9th Circuit Court! Barnett legal team said, "It was 95% victory for us. What they really wanted were the first two civil rights claims because if they got those, they got attorney's fees. With nine attorneys working on the case, I'm sure their fees were $500,000 to $1 million." Barnett, has previously turned over to US Border Patrol 12,000 trespassing illegal aliens. Seems that the border patrol should reimburse Mr. Barnett, the $77, 804 and his legal fees for assisting them. Paying this cost is far cheaper than US Border Patrol total cost for locating, interdicting, and apprehending 12,000 illegal aliens. Thank you Mr. Roger Barnett! Sixteen illegal aliens who sued an Arizona rancher, claiming he violated their civil rights and falsely imprisoned them by holding them at gunpoint on his property along the border, have lost their case. According to the complaint, Barnett, who owns 22,000 acres along the border in southeastern Arizona, approached the group of illegals on an all-terrain vehicle March 7, 2004. He allegedly began yelling at them in English and broken Spanish while aiming his gun at the group. While Barnett's dog barked at the intruders, the illegal aliens accused him of ordering the dog to attack. One of the women said the rancher kicked her because she refused to get up. The jury ruled in favor of Barnett on the battery charge as well. Barnett detained the trespassing illegals until Border Patrol agents arrived. The lawsuit claimed that the rancher never told the illegals they were trespassing and failed to post a sign notifying them that they were on private property. MALDEF claimed the family attacked, harassed, threatened and held the illegals against their will, because they were motivated by racial and class-based discrimination. The complaint said the Barnetts allegedly caused the group "severe emotional and mental distress," including fear, anxiety, humiliation, stress, frustration and sadness. Each illegal alien sued for $1 million in actual damages and $1 million for punitive or exemplary damages. . . . The rancher was held liable for limited damages involving assault and emotional distress. Two illegal aliens were given $1,000 plus $10,000 in punitive damages each. Two more received $7,500, plus $20,000 in punitive damages each. . . . [T]he judge left out one part of instruction to the jury that should have been included, and it will be the basis of their appeal. "The law is skeptical of infliction of emotional distress because everybody gets their feelings hurt at times," he said. "So one of the requirements was that whatever is done must be so severe that the average person would be physically disabled by the distress – suffer a complete mental breakdown. The judge wouldn't put that in the instruction. That's straight Arizona law." Also, two of the plaintiffs received $1,400, and two were awarded $1 each for assault. The term "assault" is legally applied when a person has simply put someone in fear of a harmful contact. According to the attorney, Barnett did carry a gun, but the judge did not include their self-defense argument in the instructions to the jury – another basis for appeal. All together, the illegals received only $77,804 of the $32 million they requested . . . Tags: Arizona, illegal aliens, lawsuit, rancher To share or post to your site, click on "Post Link". Please mention / link to the ARRA News Service. Thanks! Members of Congress have returned to their districts this week and many are discussing the impact of the $787 billion stimulus bill on their constituents. While Republicans have been discussing their concerns with the debt burden the bill adds to and how effective it will be in actually creating jobs, Democrats have fanned out to brag about the bill, but seem to have chosen odd things to be proud of. In an excellent column titled "Drowning by Fire Hose," George Will questions House Rules Committee Chair Louise Slaughter’s reaction to $50 million in funding for the National Endowment for the Arts. Will writes, “those millions elated Rep. Louise Slaughter (D-N.Y.), co-chairwoman of the Congressional Arts Caucus: ‘If we’re trying to stimulate the economy and get money into the Treasury, nothing does that better than art.’ Nothing? Is Slaughter correct about what we're trying to do? 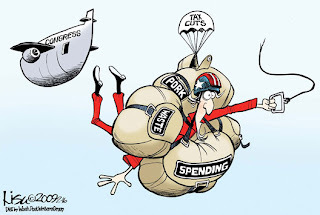 Is the point of the government's stimulus spending to get more money into the government – ‘into the Treasury’? She is not the first politician to desire prosperity for the people so that they could be more bountiful taxpayers.” George Will also noted that "In last year's second quarter, GM lost $118,000 a minute, and the next plan for its salvation until the next crisis will require more government money to prevent bankruptcy, which would require more government money." Meanwhile, Senate Majority Leader Harry Reid took the town hall meeting to a whole different level. Roll Call reports he gave a speech to a joint session of the Nevada state legislature in which he “lauded the recently enacted $787 billion economic stimulus package and trumpeted a new era of leadership in Washington, D.C., that will benefit the Silver State.” Roll Call notes that Reid told state lawmakers, “Despite our affection for President Obama and the strong Democratic majorities in Congress, we did not simply rubber-stamp the president’s plan.” That’s certainly true. In the process of writing the bill, Reid and House Speaker Nancy Pelosi ignored key principles President Obama had set at the outset including banning earmarks, avoiding partisan fights, and focusing the bill on creating private sector jobs. Reid also said, “No one expects Democrats and Republicans to suddenly agree on everything, but we have been engaging in serious pursuit of common ground.” So to Reid, “serious pursuit of common ground” consists of Pelosi bragging, “Yes, we wrote the bill,” Democrats voting down almost every Republican amendment to reduce spending, crafting the final language among Democrats behind closed doors, and finally garnering only 3 votes out of more than 200 Republicans in Congress? One would think Reid, Pelosi, and other Democrats might want to find other things about the bill to tout. Tags: George Will, GM, Harry Reid, Louise Slaughter, stimulus bill, Washington D.C. To share or post to your site, click on "Post Link". Please mention / link to the ARRA News Service. Thanks! Tags: GOP, grassroots, RNC, Tech Summit To share or post to your site, click on "Post Link". Please mention / link to the ARRA News Service. Thanks! Due to uncertain market conditions, we advise you to sit tight on your Can, hold your Water, and let go of your Gas. You may be interested to know that Northern Tissue touched a new bottom today, and millions were wiped clean. It's a tough market out there! Tags: advice, Congressional Pork, economic stimulus, government spending, government waste, Lisa Benson, political humor, stock market, tax cut, The Patriot Post To share or post to your site, click on "Post Link". Please mention / link to the ARRA News Service. Thanks! Congress is in recess. On February 24th, Senate Majority Leader Harry Reid has scheduled a cloture vote on a bill to grant House voting rights the delegate from the District of Colombia (S. 160). This is unconstitutional as reported previously in September 2007 but these days Democrats continue to rule by fiat and to pass bills regardless of the Constitution of the United States. Prior articles: The D.C. Voting Rights Issue is Back! and House Violates Constitution & Votes to give D.C. a seat . . . Display Ignorance of the Constitution. The Constitution says "the several states" shall send representatives to Congress - NOT District or Territories. Today, President Obama travels to Denver to sign the stimulus bill, You may recall that Obama in Denver broke with tradition and accepted his nomination in almost cult fashion at the stadium. The news in Washington is mostly focusing on post-mortem discussion of the bill. How far out on a limb are House Democrats if they find the modest and inadequate cuts made to the bloated stimulus bill unbearable? It certainly gives one pause when considering what legislation might be coming from the House in the future. Tags: District of Columbia, Politics, stimulus bill, US Congress, US Constitution, US Senate, voting, Washington D.C. To share or post to your site, click on "Post Link". Please mention / link to the ARRA News Service. Thanks! Received this from one of our insightful readers. 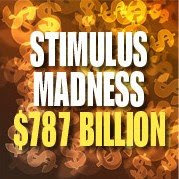 The stimulus Bill is now Only $ 787,000,000,000 . I know this is without considering interest and government inefficiency and waste. But bear with me. President Obama wrote in an op-ed piece in the Washington Post that if Congress does not pass his "stimulus" package, and do so right away, "Our nation will slip deeper into a crisis that, at some point, we may not be able to reverse." -- $50 million for the National Endowment for the Arts. Yep, we really need more Dancers, Artists and Sculptors. -- $380 million for the Women, Infants & Children welfare program. To help "Acorn Voters" and Chicago's South Side. -- $300 million in grants to combat violence against women. Now are they going to pay Violators not to continue? -- $1.2 billion to provide "youth" with summer jobs. Doing What and Who Hires Them? -- $2.4 billion for "neighborhood stabilization" activities. That's a good one! Payment Again to Vote Early and OFTEN! -- $650 million for digital TV coupons. There are Only 300 MILLION People in the U.S. More than Half are on Cable. No need for coupons for them. -- $150 million for the Smithsonian. They have doing OK for the last 100 yrs; Let them alone! Now That's a lot for New Wall Paper and Carpeting! -- $500 million for improvements to the National Institute of Health facility. Sounds like a Big Medical Bill to pay for What? -- $44 million for repairs to the Dept. of Agriculture's headquarters. How come? Where is Regular Daily or yearly Maintenance? -- $350 million for agriculture department computers. Gee, don't they have any now? building. Wait, Didn't we just give them 500 MILLION a few lines back? -- $1 billion for the Census Bureau. That for Redistricting to get more Democrat voter areas. -- $89 billion for Medicaid. Now if they would imprison all the MEDICAID CHEATERS, we probably wouldn't need this much! -- $30 billion for COBRA extensions. What is COBRA and Who gets the Money? -- $36 billion for expanded unemployment. That's it! Instead of creating employment, pay them to stay home. -- $20 billion for food stamps. For illegal immigrants too? -- $850 million for Amtrak. If Amtrak were run like a business instead of Government, it wouldn't need that much. -- $1.7 million for the National Park Service not too bad here. -- $55 million for the Historic Preservation Fund. Some good form this but that's a lot of preservative! -- $7.6 million for the Rural Advancement Program. That will help a bit. -- $150 million for "agricultural commodity purchases." It will not help the FARMER, but it will fill the pockets of Traders! -- $150 million for producers of livestock, farm-raised fish and honey bees. There has to be a Glitch here for someone Other than Farmers to get most of this. 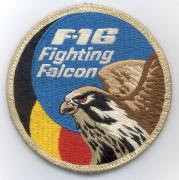 -- $160 million for paid volunteers (what is a "paid volunteer"?) at the Corporation for National and Community Service. "Where do I apply for one of those paid volunteer positions?" Are we really to believe President Obama that we may not be able to reverse our country's slide if he, Harry Reid and Nancy Pelosi are prevented from ramming all this pork down our throats? And, by the way, what happened to President Obama's pledge to end pork barrel spending? Another interesting tidbit: President Obama said that one of the reasons Congress must pass the stimulus bill, and must pass it NOW, is to end our dependence on foreign oil. What is astonishing is that he made this proclamation about energy independence less than 24 hours after his new interior secretary canceled the oil and gas leases on 77 parcels of federal land. For me this stinks!!! We are only a few weeks into Obama's term and already he and his party are out of control, spending our tax dollars .
" CONGRESSIONAL RELIEF ACTION PROGRAM "
In other words, refer to it by its initials. CRAP! Smile - maybe the pain will hurt less for 2 seconds. And post your comment or name for this bill. 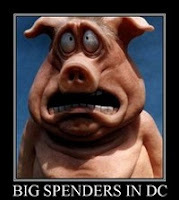 Tags: Barack Obama, Congressional Pork, National Debt, stimulus bill, 2009 To share or post to your site, click on "Post Link". Please mention / link to the ARRA News Service. Thanks!